"Our dream is to exceed our previous successes, we have realised that we can make it come true by combining our capacity with teamwork." Winning, is not an objective in itself, it is the heart of our company that we aim to bring to the fore as a global leader in the Sport, Lifestyle and Safety Market, by means of trade-marks established on enthusiasm, cutting edge style and technological innovation. Creativity and imagination has made our company our grow; as well as research conducted into materials and construction systems, constant innovation in technology applied to sport, wellbeing and individual safety and, finally, Italian style, a company that has vision, is both transversal and global, these elements represent our greatest successes. Enthusiasm is the base value that has always articulated our company, the real reason why we were born and why we exist. It is not merely our soul, our heart, but represents our determination to achieve our objectives, and the creative force in producing a winning product. If we are still here today, we owe it to our Group, made up of individuals who are tenacious and united; the Group is our greatest certainty. 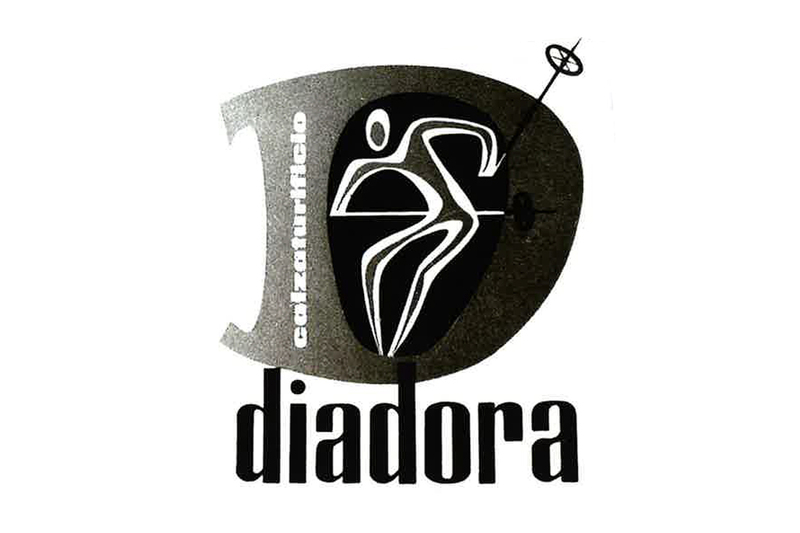 The word, Diadora, comes from the Greek, "dia-dora", which means “sharing gifts and honours". Sharing success, team spirit in competitive sporting activities, competition worthy of both team members and opponents, are some of the essential principles inherent in the Diadora trademark. Add to this, Diadora, with a wealth of high-flying and romantic imagery, flanked by a a symbol, a frieze that represent the concrete nature of the company’s artisan origins, which, from back in 1948, made footwear, not a point, or rather the point of a dart, but an open and stylised upper, which represents the main element in creating footwear for sport or work. 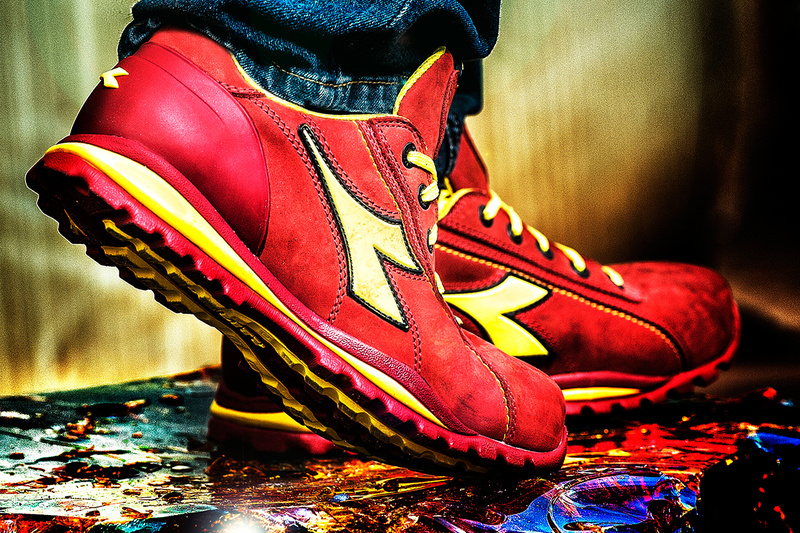 Diadora was founded as an artisan’s laboratory for making mountain boots. These quickly established themselves as the best mountain and work boots on the market. In this decade, a shift in production towards the world of sports occurred. 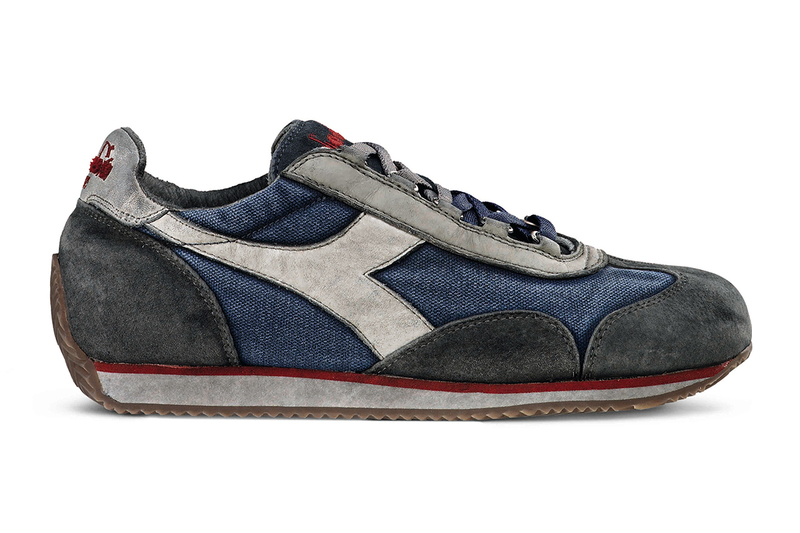 Diadora distinguished itself for the high quality and cutting-edge characteristics of its products. 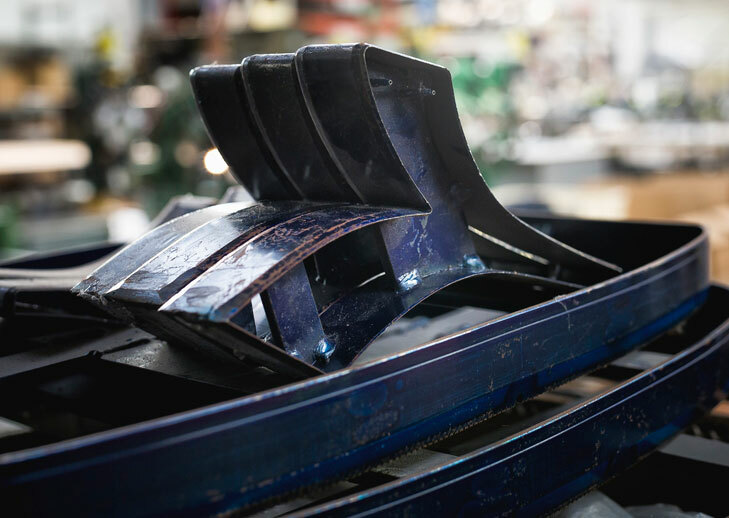 Its production reached major industrial volumes. 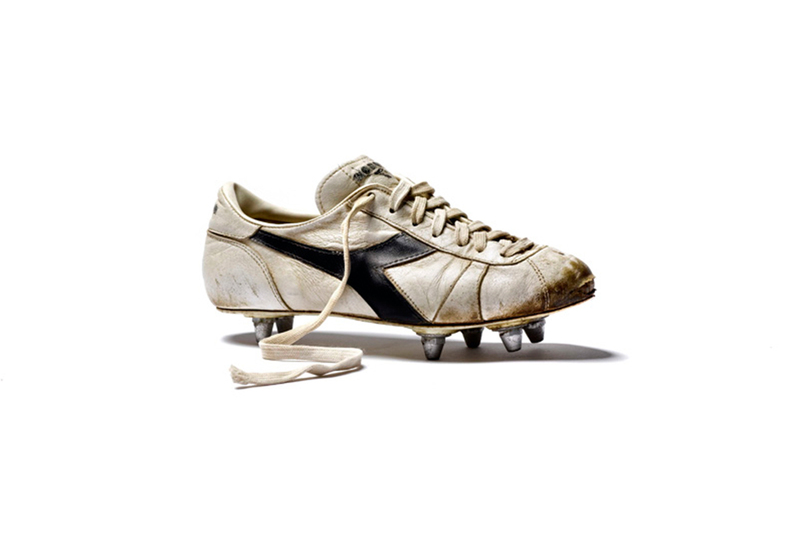 At the beginning of this decade, which marked the explosion of professional sports, Diadora was the first Italian company to develop a new concept of sports marketing, which involved the choice to have champions with wide appeal as our testimonials. Champions such as Bjorn Borg and Roberto Bettega are not just important figures in sports, but became true style icons. 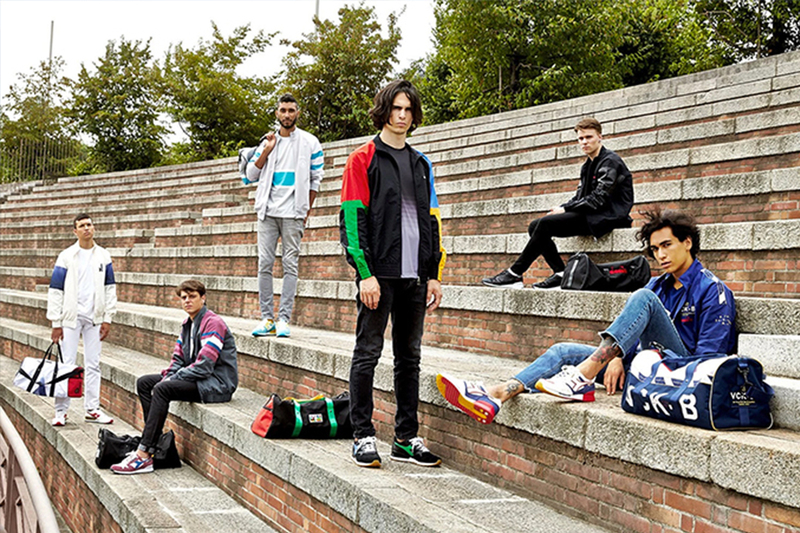 Sports became a clothes-related phenomenon as well, and the Diadora products crossed over from the realm of competitive sports to leisure, not only helping to write the sporting history of that period, but also to shape taste in that age of the new “lifestyle” market. 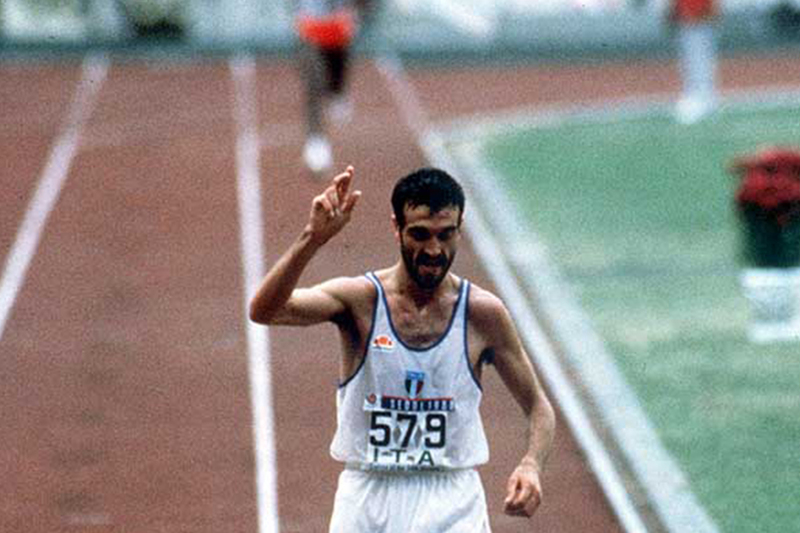 Diadora was the undisputed protagonist of international sports, thanks to its partnership with world-class champions. The sportswear phenomenon which sports had generated gave no signs of slowing down, on the contrary, it intensified thanks to icons such as Pat Cash, Andrea Zorzi, Antonio Cabrini and many others. Sports figures are the new celebrities and their style sets the trend. 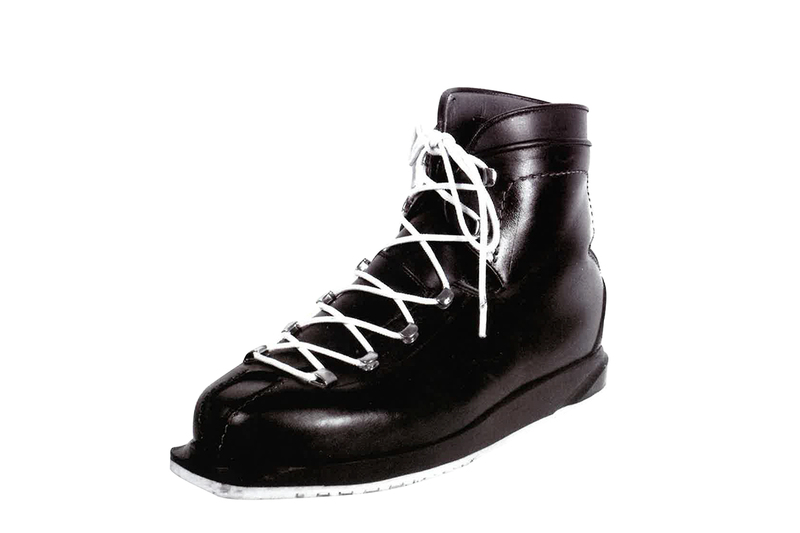 Diadora instituted the CRD, that is, the Diadora Research Centre, composed of a work team that was wholly innovative for those years: shoe technicians, experts from the Milan Polytechnical Centre of Bioengineering, and doctors specialised in orthopaedics. A new intuition allows Diadora to capitalise on the experience it has in the sports market, and to return in a certain way to its origin by recovering the production of work shoes fifty years after its founding: Diadora Utlity is born. These are years of worldwide expansion brought forward with excellent sports partnerships, but are also the years of new influences, through a very specific vision of luxury sportswear. The Heritage line is born, destined to become a real clothing phenomenon and the first true experimentation of blending sportswear and fashion. 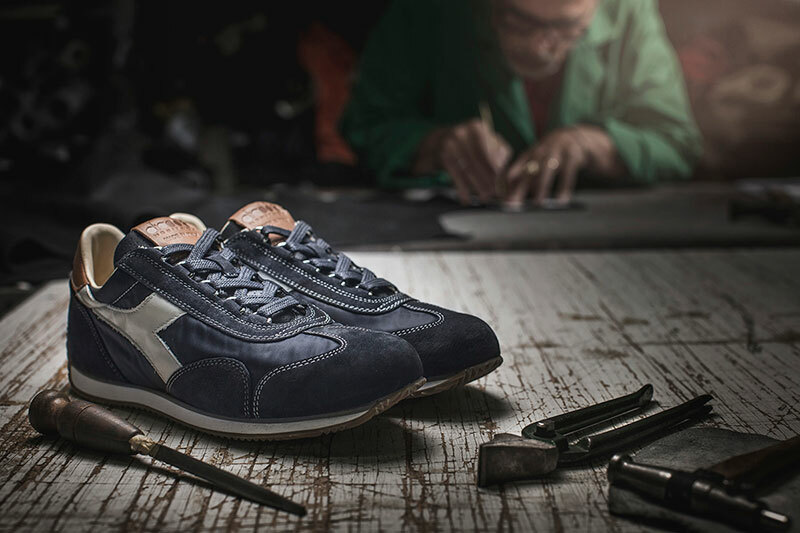 Lir, the financier of the Moretti Polegato family, and a key shareholder of Geox, signs an agreement to purchase Diadora, with the aim of enhancing the brand’s enormous worldwide production. Enrico Moretti Poelgato is the new president of the company. 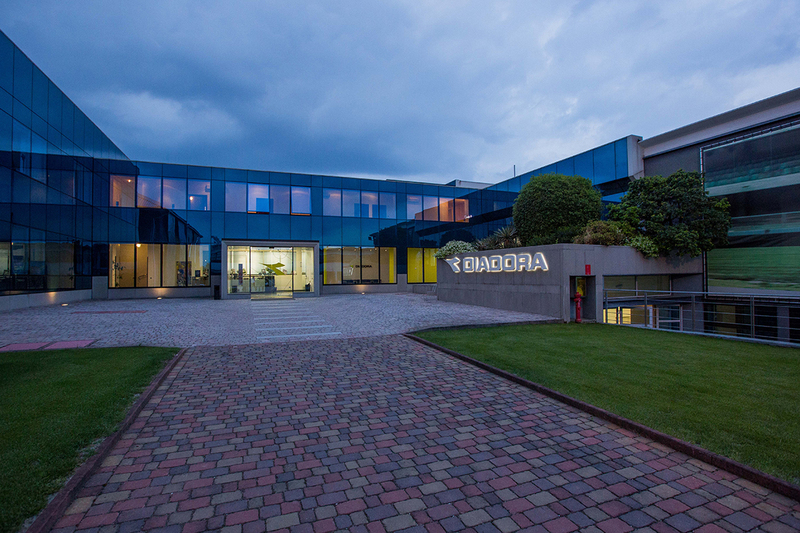 The path to renew Diadora has begun, and the company focuses on the factors that have made it over the years a point of reference for many: style and sports performance are the key words to its growth. Music as added to sports in the Olympus of style and the company’s collaborations remain firm atop these two worlds.